Brunch may be trending these past two years, but I somehow always found high tea sessions at swish hotels more enticing. There’s just something so indulgent about sipping tea and munching on dainty bites, as I while away the afternoon. It also helps that high tea sets at hotels are always pretty to a tee! 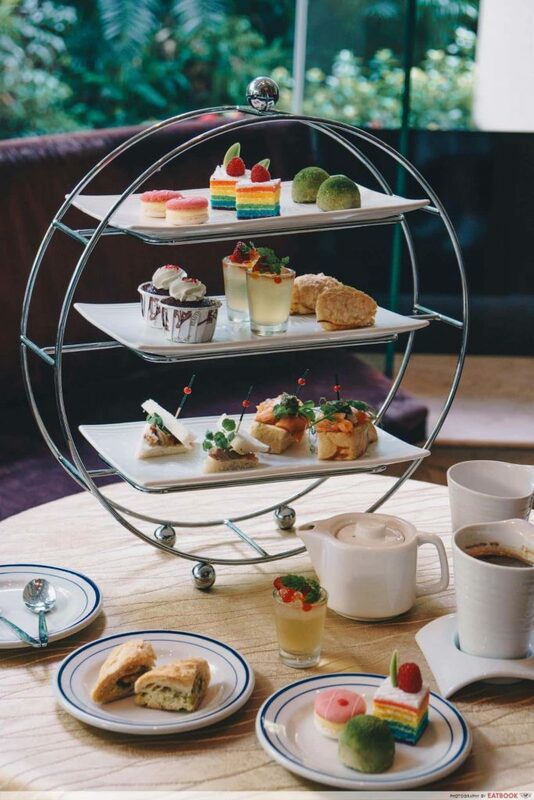 With the year coming to an end, there’s no better way for Maybank Cardmembers to catch up with their BFF than at these hotels with high tea. 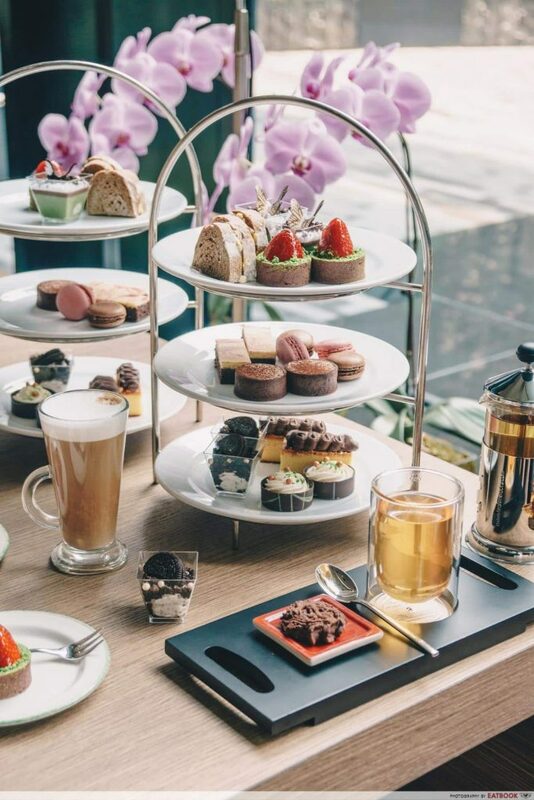 Escape the town crowd and make your way down to Lobby Lounge at Crowne Plaza Changi Airport for their Chocolate High Tea. 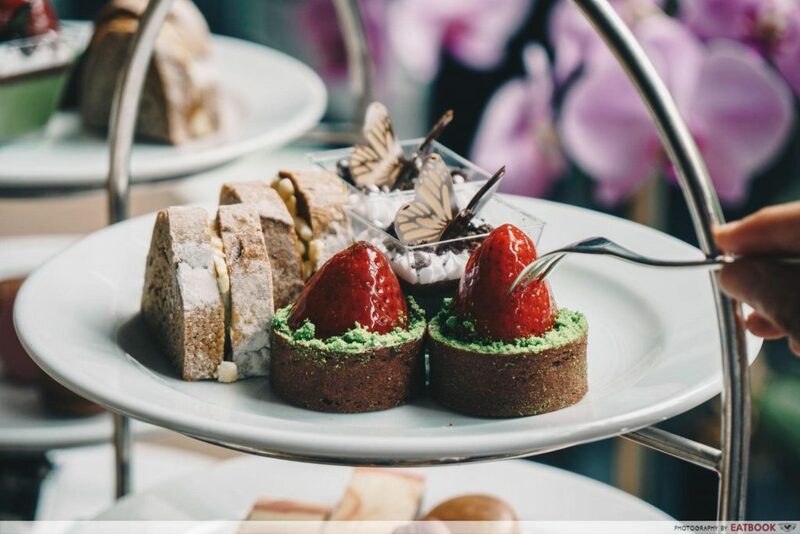 Priced at $38++ per person, the three-tier set serves two and features dainty nibbles such as rhubarb and strawberry quiche with cream, strawberry chocolate tart, egg mayo chocolate bread sandwich, as well as chocolate brownie raspberry cake. You and your BFF will also get a choice of coffee or Dilmah tea to go with your treats. If you have more than one best friend, you will be glad to know that you can score 1-for-1 on this high tea set when you pay with your Maybank Credit or Debit Card! Available until 30 November 2018, there’s no limit to how many sets you can order, so feel free to invite your entire crew. 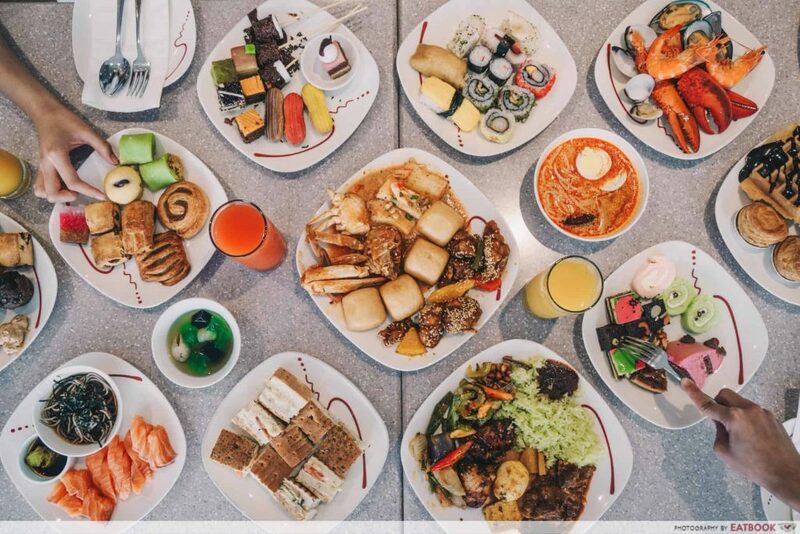 It is best to skip lunch and come to Carousel’s high tea buffet on an empty stomach. Featuring close to 25 stations, the spread is as extensive as their lunchtime line-up. 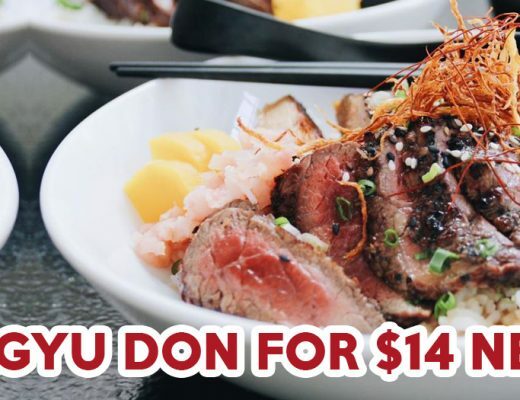 Pile your plates high with sashimi, fresh seafood on ice, and hearty local dishes. 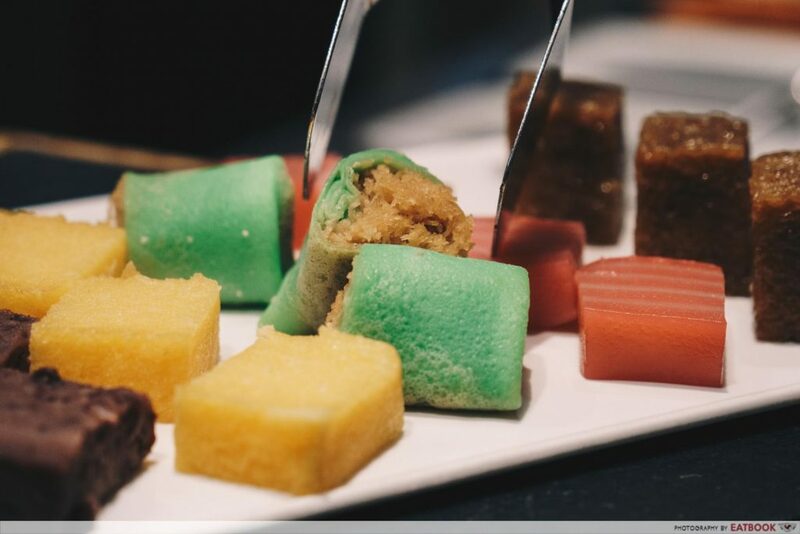 Dessert fiends can take their pick of sweet treats, from eclairs to scones and Nyonya kueh. There’s even a DIY station to make your own ice kachang! 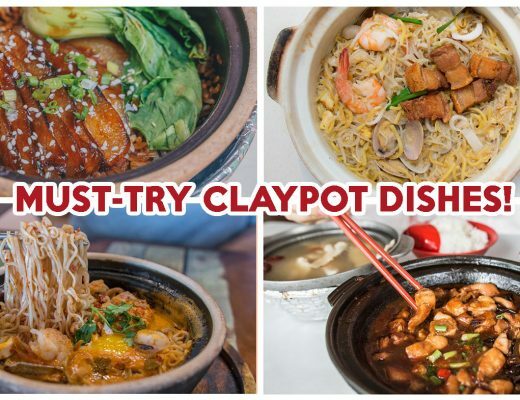 Maybank Cardmembers are treated to 15% off their total food bill when they dine here. Don’t fret if you can’t swing by during their high tea buffet, as this offer is also valid for their breakfast, lunch, and dinner buffets. Done up with cushy chairs and marble top coffee tables, Crossroads Bar provides the perfect setting for a little tête-à-tête with friends. 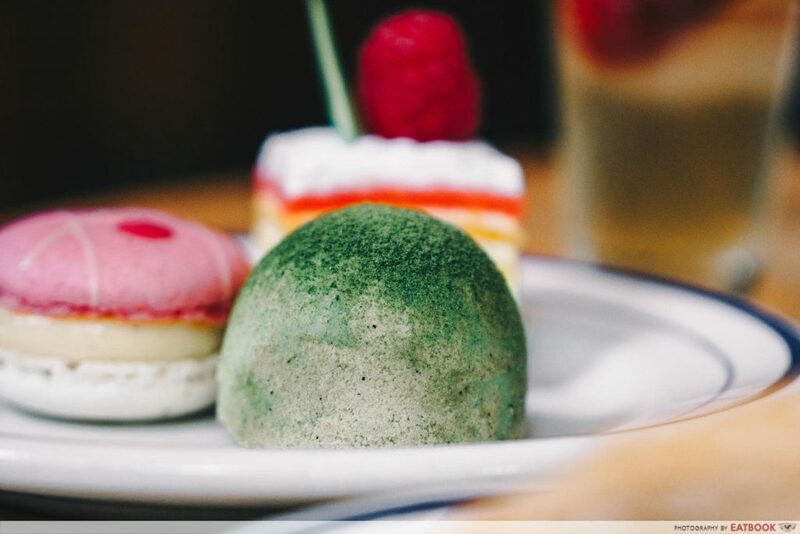 When you’re here, treat yourself to their limited-time Autumn In Hokkaido Afternoon Tea ($42++ per person, minimum two diners per order) set featuring three tiers of petite creations such as seared wagyu sandwich, green tea egg tart, and lavender swiss roll. Each set comes with your choice of Geisha Blossom TWG tea or coffee. At an additional $3++, you can opt for a refreshing iced coffee instead. Maybank Cardmembers enjoy 18% off their total bill when they pop by in October. Those coming between 1 November 2018 and 31 December 2018 should come in groups of three, as one dines free with every two paying adults – limited to six guests per bill. Situated at The Fullerton Bay Hotel Singapore, The Landing Point boasts a gorgeous view of the Marina Bay waterfront through its floor-to-ceiling windows. 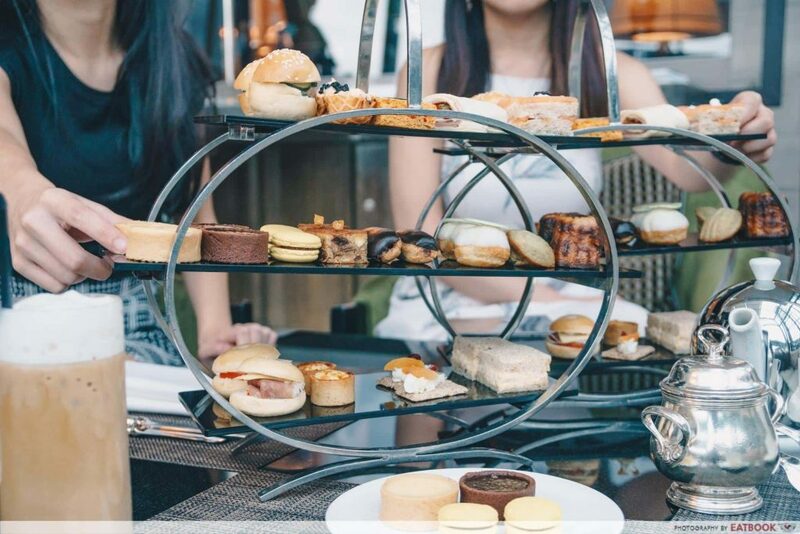 Pamper yourself with their Afternoon Tea Affair By The Bay ($48++ on weekdays, $53++ on weekends and public holidays per person), which comes replete with moreish savouries and sweets including pistachio puff, mini prosciutto bagel, and smoked salmon mille-feuille with caviar. Free-flowing tea and coffee are also served to complement your sumptuous repast. 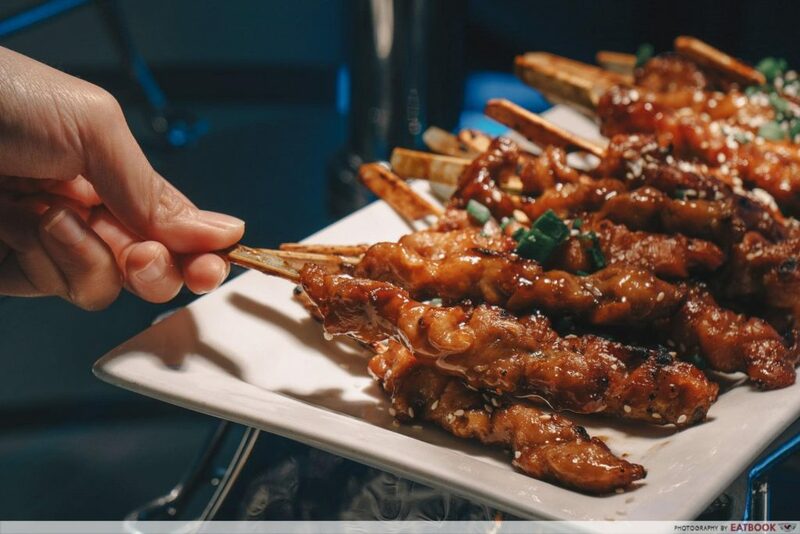 If you think these dainty morsels won’t fill you up, you will be pleased to know that there is also a small buffet line comprising truffle chicken yakitori, penne in tomato and basil sauce, and all the toothsome items found on your tea set. 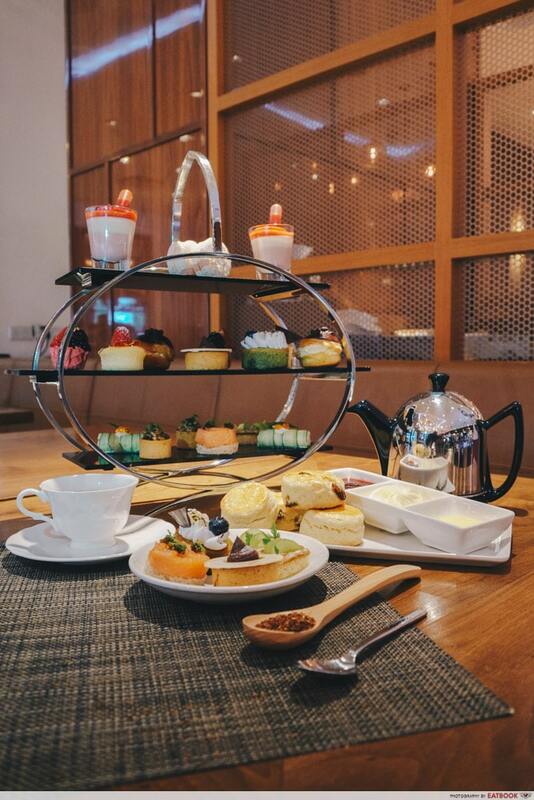 Come by with your Maybank Credit or Debit Card to shave 15% off your total afternoon tea bill. 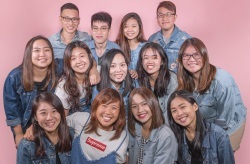 This promotion extends to their à la carte lunch and Sunset Soirée Evening Tea as well. A harpist serenades you as you luxuriate in an Afternoon Tea ($46++ on weekdays, $49++ on weekends and public holidays per person) at The Courtyard. Found on the stunning tea set are brie cheese on hazelnut crackers, otak-otak sandwiches, English fruit cakes, lemon tarts, and more. And just like The Landing Point, you are invited to refill your plates from the tidy buffet set up out front showcasing the same gourmet nosh. 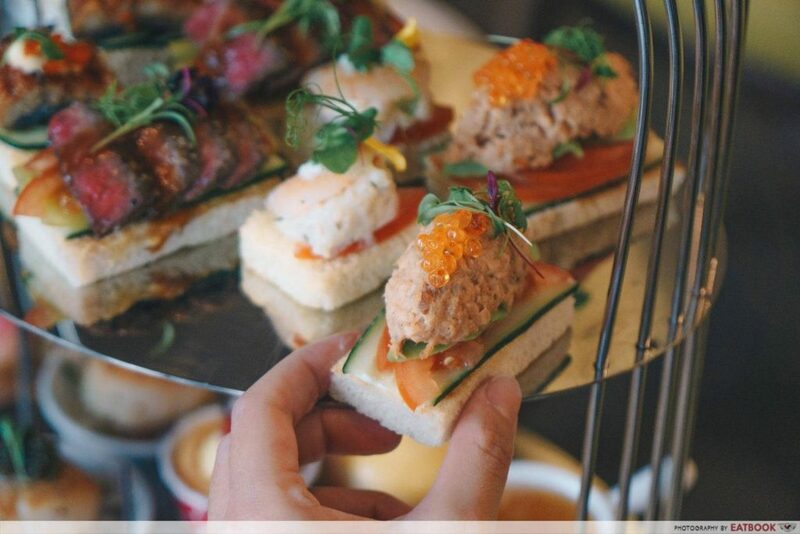 Maybank Cardmembers can give their wallet a break as they receive 15% off the afternoon tea. Alternatively, check out their Indian Curry Lunch Buffet to enjoy the same discount off your total bill. This offer is valid for up to eight customers per bill. 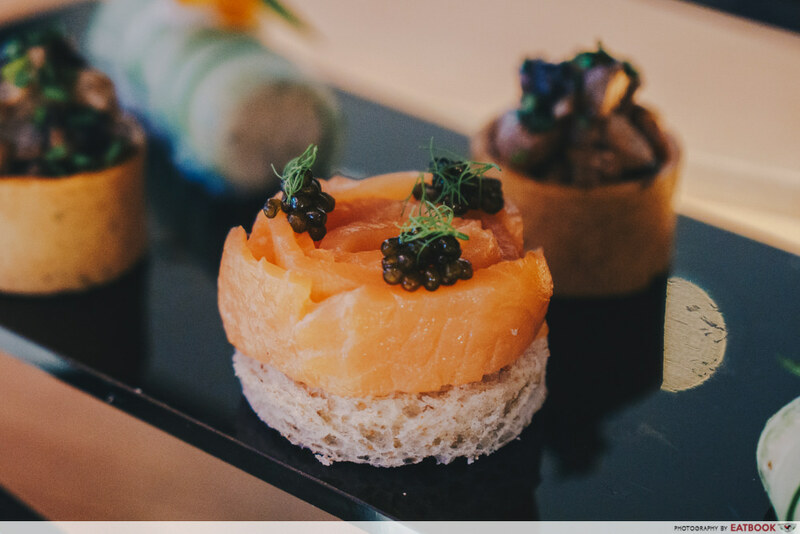 Smoked salmon on butter brioche, Japanese matcha mochi, Mediterranean vegetable puffs, and more – these are the scrummy bites you will find at Waterfall Lounge’s Afternoon Tea ($18++ per person, $32++ for two people) set. Be sure to snag a seat by the window to marvel at the 20ft waterfall backdrop outside. Live the rich life without breaking the bank and get 20% off your total à la carte bill when you pay with your Maybank Credit or Debit Card. On top of that, you will also be served a complimentary glass of Mimosa when you order their high tea set! Those coming during their birthday month can redeem a complimentary glass of Tiger Beer as well, with a minimum of two paying guests. Knock off work early for a lazy afternoon at the Tea Room. 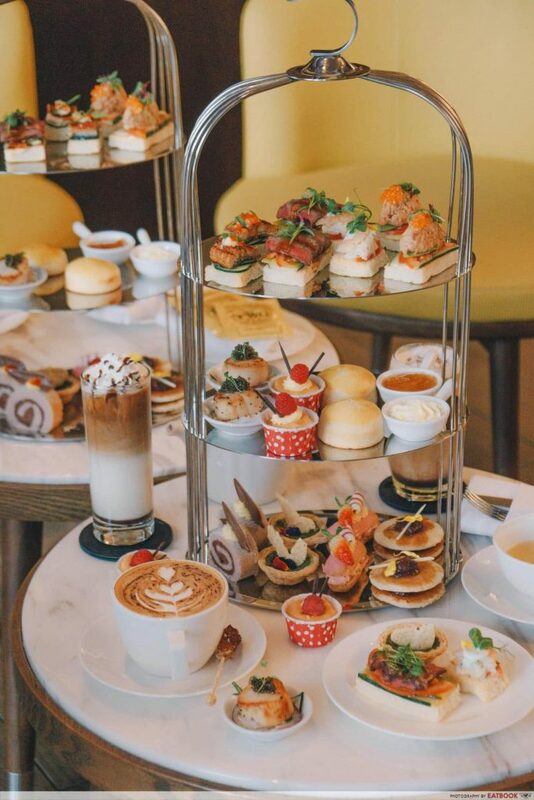 Situated near the CBD, the quaint café is known for their decadent High Tea Set ($56++ for two person), which comes with a pot of TWG tea of your choosing. 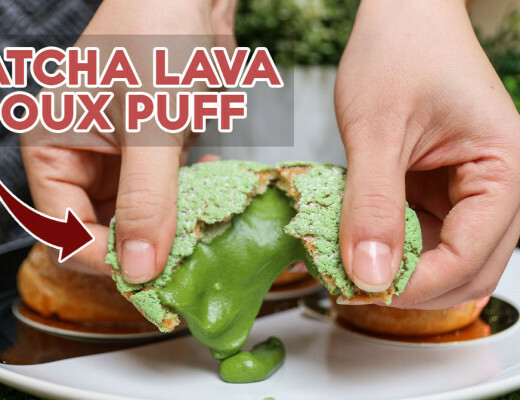 Savour toothsome treats like French choux puffs, macarons and cheesecake. 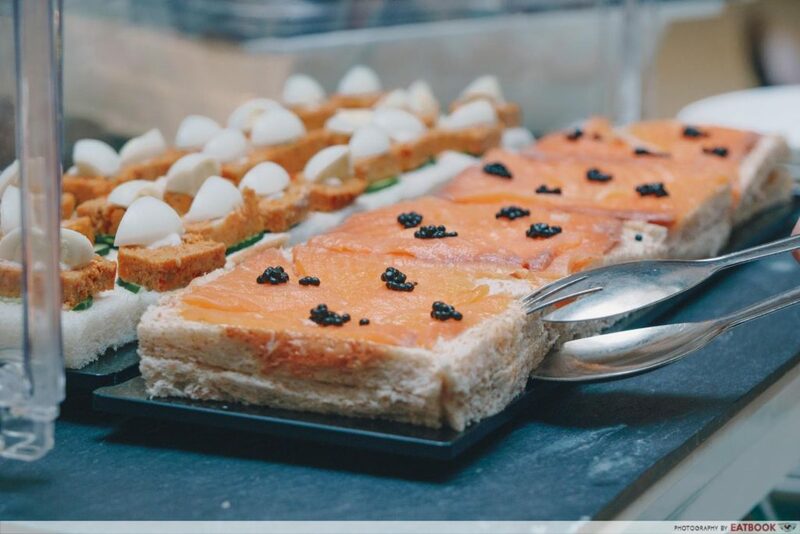 There’s also a row of canapés featuring refined bites such as salmon with caviar on wholemeal bread. Why spend a bomb, when you can save 15% off your total bill by paying with your Maybank Credit or Debit Card? This offer is available until 31 December 2019, and you can come as many times as you wish! 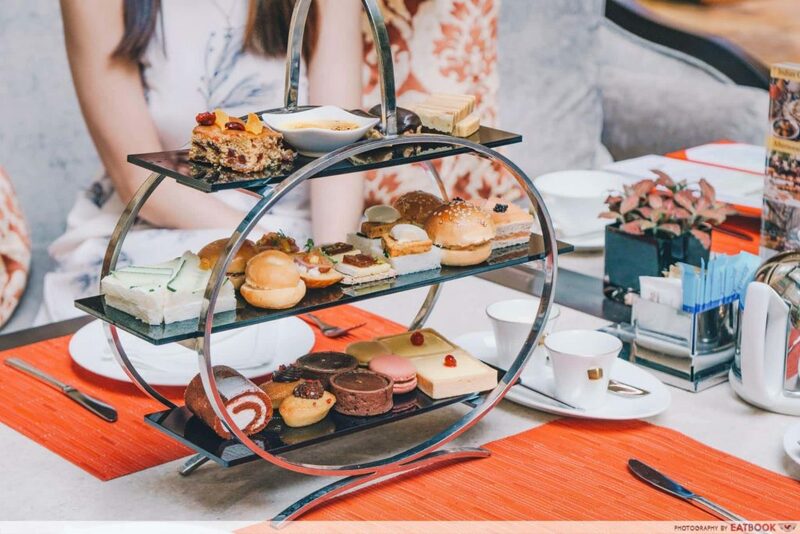 If you’re still caught up in the Crazy Rich Asians fever, go ahead and pretend to be the high-flying Astrid Leong at these high tea spots in hotels with your BFF. Just remember to pack your Maybank Credit or Debit Card along to enjoy these stellar dining deals. Apply today to receive a complimentary Samsonite Orfeo luggage worth $420** too! SMS “MBAPPLY DM <Name> <NRIC>” to 79898 or visit maybank.sg/applycards for details. Earn points to redeem for your next flight by signing up for the Maybank Horizon Visa Signature Card. This snazzy Card gives you 3.2 air miles (8X TREATS Points) for every dollar spent on dining transactions^.